Confidence is like a moody cat. One day it’s all cozy on your lap and the next day it’s hissing at you, running away and hiding. Having confidence is a bit of an art, especially if it doesn’t come naturally to you as it doesn’t for me. I have to constantly work on it but then I have a failure and it all disappears into thin air. This happened recently and I want to share the story with you. Watch the video to hear the full story. When you fail at something – which you will do when you actually take steps to live the life you were born to live – you can’t let that one failure define you. I’ll repeat: YOU CAN’T LET ONE FAILURE DEFINE ALL OF YOU. 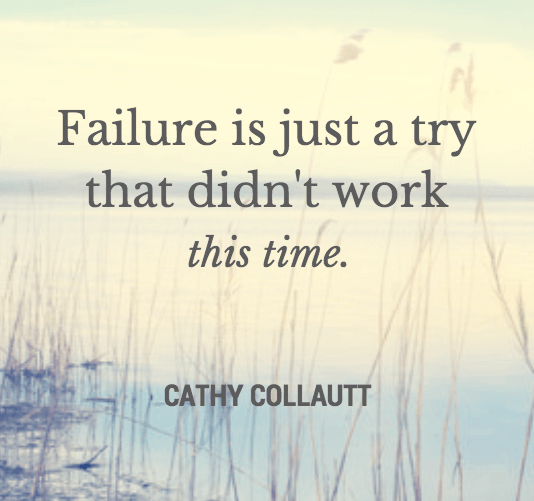 It is just one try that didn’t work, as Cathy says in this interview on Marie TV. I highly recommend watching the episode. Thanks to the universe having my back I saw this interview and I learnt that failure and success are on the SAME PATH! If you want to live a life worth living, you are going to have to take some risks and that means there is a risk that you will fail. This is GOOD sign! This means that you are learning and this means that you will eventually reach success. I’ll ask you what Marie asks as well. Have you had a failure that almost crippled you forever? Have you acknowledged that it is just one attempt that didn’t work? Have you kept going towards the path to success? Let me know in the comments below. P.s. Follow me on Instagram for pics like this everyday!